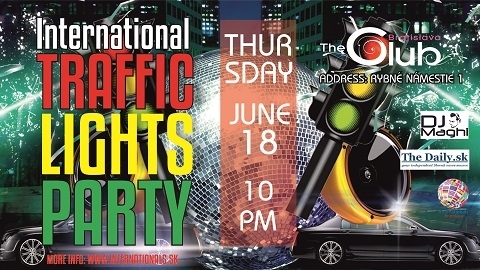 So excited to bring to you another International Traffic Lights Party! Its for anyone that wants to socialise and have some fun..singles & couples are welcome. Everyone can invite anyone. The only rule is to wear your bracelet!! All girls for free before 22:30! If you have birthday on 17th, 18th or 19h of June you have a free entry – of course you need to show your id.